​When you arrive at our office you will be asked to fill out some information. You may download the forms on the Patient Forms page and bring them with you if you prefer. Please let us know when you contact us for an appointment if the paperwork is already completed so we can schedule accordingly. Then you will meet Dr. Shaw for a personal consultation, where you will discuss your needs. The examination will involve evaluating your posture and palpating your spine to find your problem areas. Dr. Shaw will communicate his findings and, as part of the initial visit, will do a preliminary adjustment to see how your body responds to care. Dr. Shaw will discuss alternatives with you if your body does not respond appropriately. Your first visit should take about 45-60 minutes. We want you to make informed decisions about your health and will be happy to address any questions or concerns you have. We suggest you wear comfortable clothing to your appointment. Dr. Shaw has been using gentle, non-cracking techniques since 1998. Although the treatment is gentle, when a problem area is being corrected it can be uncomfortable, even to a light touch. Pressure in the area may cause slight discomfort because the area is already sensitive. 1. It starts to feel better right away. 2. It still feels the same. This is because Dr. Shaw's job is to help your body do the healing. It may take a few sessions before sufficient change occurs and the body can start to heal. 3. Some patients feel slightly worse before they get better. 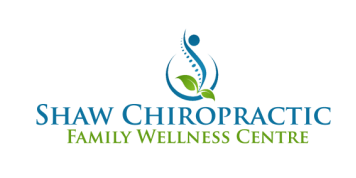 When we work to correct a misalignment, your body is making changes that it hasn’t experienced before; it may have been out of place for years! Though these changes put you in a healthier position, they may be slightly uncomfortable for your body to get used to. We will discuss this possibility with you to ensure you are comfortable knowing exactly what to expect going forward. Dr. Shaw refers to this as "pain of change." Each person heals differently -- children often respond faster than adults. Older people may have had the problem for a long time. Your problem and health goals will all be a factor. Many patients stop chiropractic care as soon as they feel better, often before the body has been retrained and the healing is complete. If the healing process has not been completed, symptoms may reoccur. As with healthy eating and exercise, many people incorporate regular chiropractic treatment as part of their ongoing lifestyle. How many treatments do you need? The answer to this question varies -- the time to finish care is ultimately your decision. Please remember that you are always welcome back, should you ever require our services at a later time.